Currently, there is no natural right-back in the squad, although that existed even when Vidal was healthy. Luis Enrique could make do with Sergi Roberto in that position until the end of the season and occasionally resort to Javier Mascherano, who does have some experience playing that role. Yet, the problem is that Mascherano may be needed elsewhere, which could lead to a selection puzzle. A very useful option in this situation is that the coach resort to a player who might not normally be in the starting XI. At this moment, Luis Enrique is already taking 22-year-old Nili to Paris for the Champions League clash with PSG. The Gran Canaria player has trained several times under the first team boss, participated in the pre-season camp in England, and made his first team debut in the Copa del Rey against Hercules. 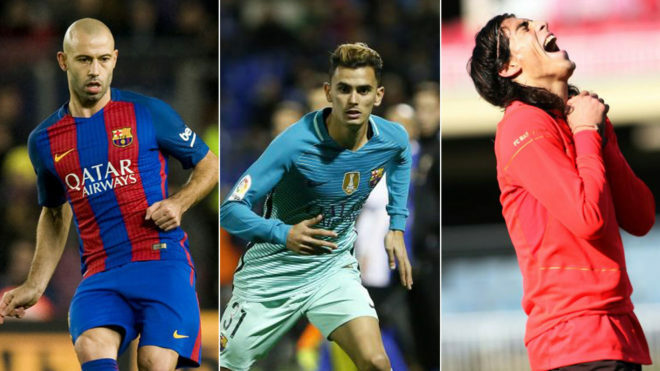 Another option in the squad is Sergi Palencia, who is captain of the B side, although it seems Luis Enrique fancies Nili more. Barcelona were going to go to the transfer market during the holidays before Vidal resurfaced, but the possibility is again on the table. However, they are only able to sign players without a club, or ones who are already playing football in LaLiga. In the first option, there are names like Caceras, Maicon, Cicinho or Bosingwa. There are plenty of names in the second group, but would come at a cost as no side would be willing to dismantle a squad at the end of the season without getting something in return. In addition, we must remember that Barcelona were not willing to break the bank for Cancelo, so that option will most likely be unavailable once more.